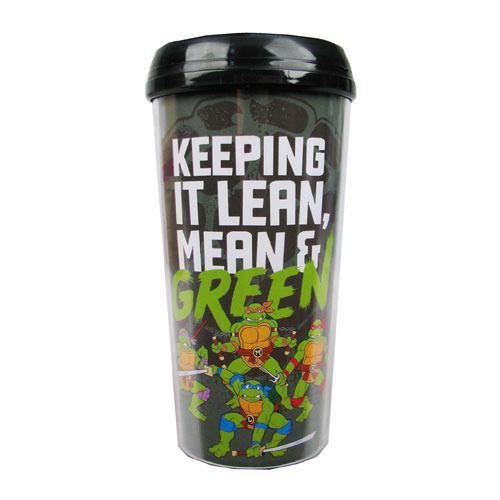 The Teenage Mutant Ninja Turtles Lean, Mean, and Green 16 oz. Plastic Travel Mug shows a cool image of Michelangelo, Donatello, Raphael, and Leonardo rushing into battle along with the words, "Keeping it lean, mean, and green." The mug is made of plastic and holds about 16 ounces of liquid. Hand wash only. Not dishwasher safe. Do not microwave.